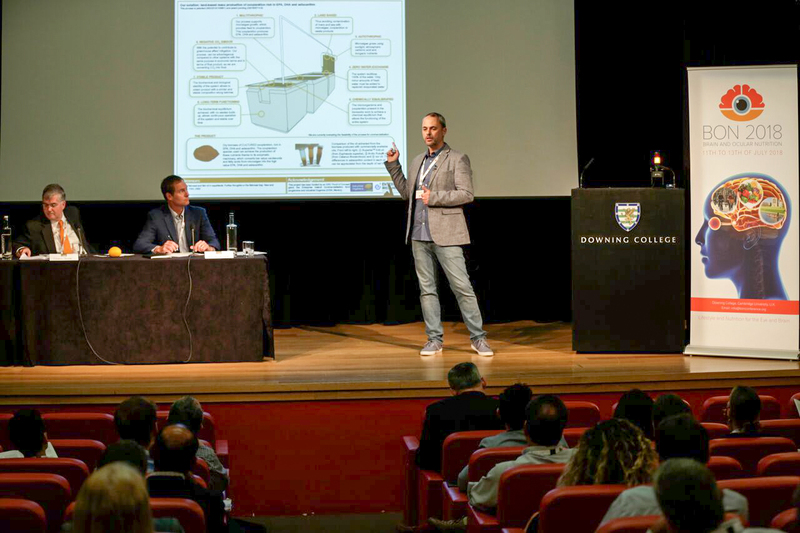 The NRCI members travelled to Downing College in Cambridge, UK last month to the Brain and Ocular Nutrition (BON) conference. 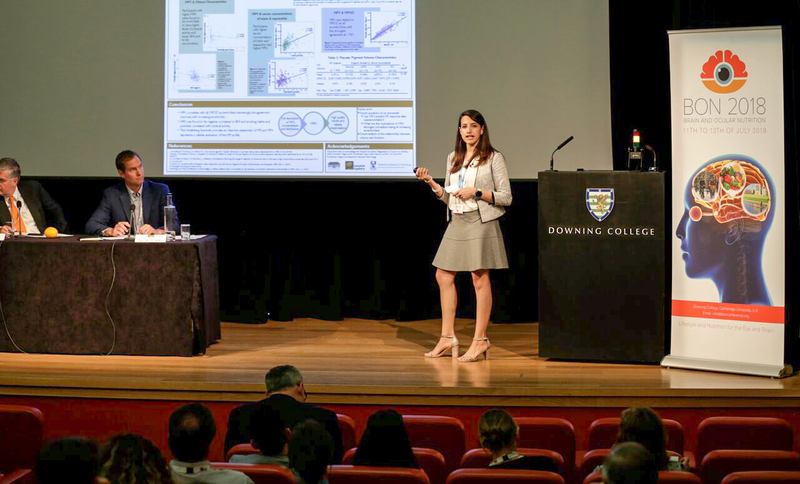 Dedicated to the role of nutrition and lifestyle for the eye and the brain, the conference showcased research from around the world to 150 delegates interested in the role of nutrition for human health and wellbeing. NRCI researchers proved particularly successful at this conference, winning a total of 3 awards.Dr Alfonso Prado-Cabrero (Post-doctoral fellow of the Enterprise Ireland Commercialisation Fund Programme) was awarded 1st prize for his poster entitled “Novel biochemical process to produce zooplankton rich in nutrients of interest using a land-based zero water-exchange integrated multi-trophic recirculating system (ZWE-IMTRS): Herena Trophic Reactor (HTR)”, which included receipt of the prestigious Howard Medal. 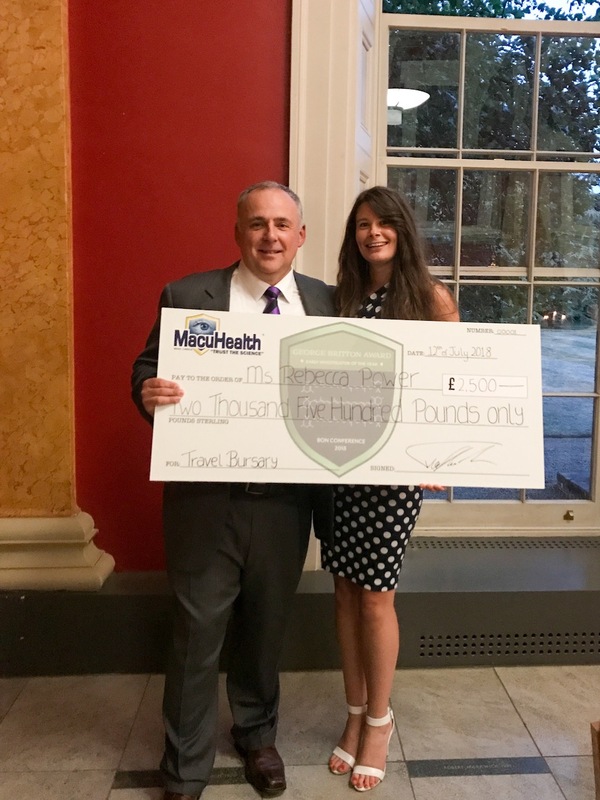 Dr Marina Green-Gomez (PhD candidate funded by WIT Co-Fund Scholarship and EIS member) was awarded 3rd prize for her poster entitled “Standardizing how we report macular pigment using the Heidelberg Spectralis”. Additionally, based on her active research, achievements to date and planned goals, Rebecca Power (PhD candidate funded by the Howard Foundation UK and EIS member) was awarded the Early Investigator of the Year “The George Britton Award”, which included a travel bursary to the value of £2,500. Core topics presented and discussed at the conference included an update on the role of nutrition for visual performance; bioavailability and transport of carotenoids (plant based pigments present in fruits and vegetables); and nutritional innovations for cognitive health. Professor John Nolan, Chair of the BON Conference, highlighted that, “We now live in a time where our science can have a measurable and meaningful impact on policy, industry and human health and function. I am sure that our collective work is a stakeholder for a better future”. He continued, “…it is essential that we remain focused on our core research values. The success of this group is most certainly because we stay focused and specialised”. 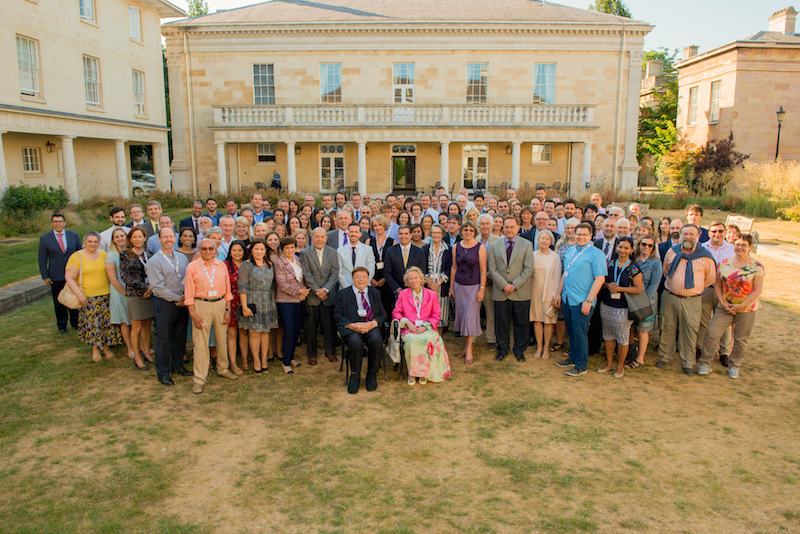 A novel addition to the BON conference included the Early Investigator Society (EIS), which was established to stimulate and support scientists at the early stage of their career within the areas of brain and ocular nutrition research. Members of the EIS were provided with the opportunity to actively participate in the conference by co-chairing conference sessions with renowned scientist in their field, as well as gaining valuable experience in disseminating their research through oral and poster presentations. Delegates of the conference were also treated to keynote addresses from Dr Jeremy Sivak, Associate Professor in the University of Toronto School of Medicine, Canada and Dr George Perry, Dean of the College of Sciences, Semmes Professor of Neurobiology, and Professor of Biology at the University of Texas at San Antonio, USA, and Editor-in-Chief of the Journal of Alzheimer’s Disease. Abstracts from the BON conference have been published in the Journal of Alzheimer’s Disease (Impact Factor: 3.92) and can be viewed at https://www.ncbi.nlm.nih.gov/pubmed/29991139. Going forward, the journal of Molecular Nutrition and Food Science (Impact Factor: 5.15) will publish a special issue detailing the key topics and research presented at the conference.